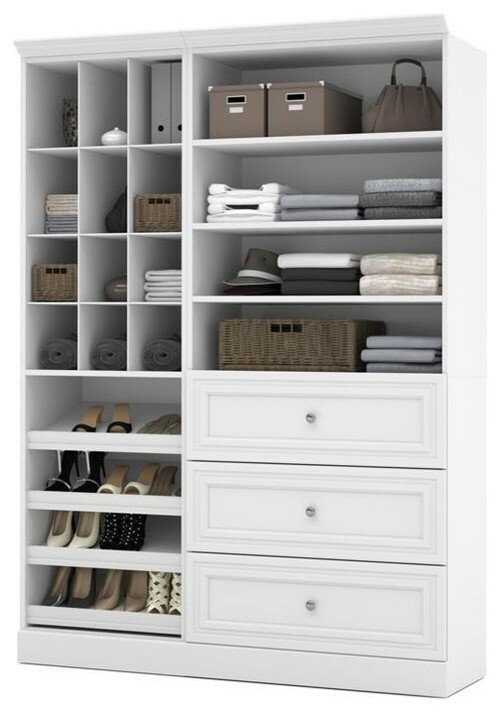 Make that closet work for you once and for all! Happy New Year! The girls have been having so much fun playing together that I am able to steal more moments for myself, yay! So, as I do every Christmas, I rummage through my closet to rid myself of even more stuff I do not wear. And you know what's the best part? Helping others!!!! Yes you just bought that sweater last year but still haven't worn it, so why not give it to someone in need? Mosques right now are accepting clothing and donations for all the Syrian refugees that have come in, and of course local churches help people in your neighbourhood so start purging! 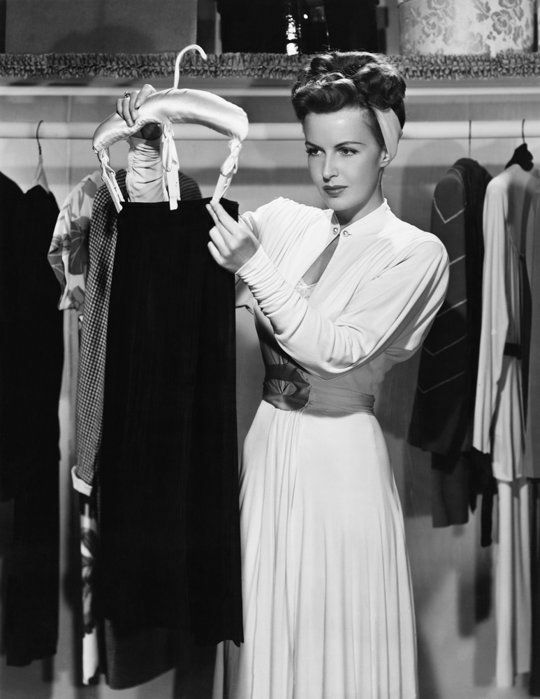 I am a huge believer in less is more when it comes to clothes. If I could have my staples (black tights and jeans) and switch up new shirts every season I would be one happy girl. At the end of every season go through your closet and donate things you haven't worn. Then prep your closet for the coming season! I've been colour coding my clothes because it just looks so darn pretty and very organized. Here are a few ideas to make your closet more organized. Do your doors swing open? Perfect, why not move that mirror elsewhere (if that's what's there) and take a cue from this lovely open closet above? 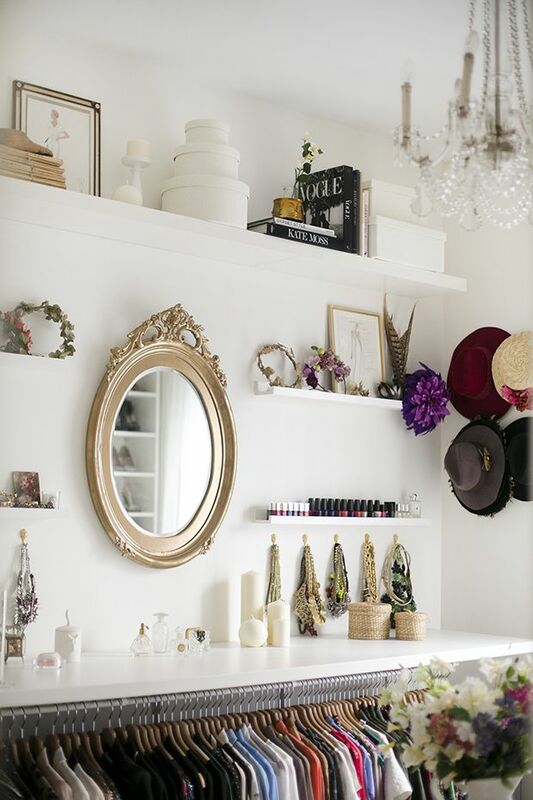 Install a small mirror and use Ikea spice racks to hold perfume bottles, nail polish, etc... Mini hooks for jewellery, headbands, scarves, whatever! Rotate out with the season if you've got too much stuff. 2. Don't have a closet? Use a wall! Obviously you know I love Ikea's Algot system for it's cheap yet functional and pretty aesthetic. So grab a wall in your room and spend $200 for this system!!! Now there's a reason to colour co-ordinate and keep only your prettiest stuff! If you've got an extra bedroom you are one lucky person! Use the whole room and float a large pouf in the middle atop a huge area rug. Now you've also got yourself a place to hang out. I hate you, lol! 3. Or get real fancy with Ikea's Pax System. Obviously this is Algot's crazy gorgeous big sister. Your budget, you decide. That's pretty much perfection! 4. Get yourself a large piece of furniture! Costco has a pretty nice online selection also! 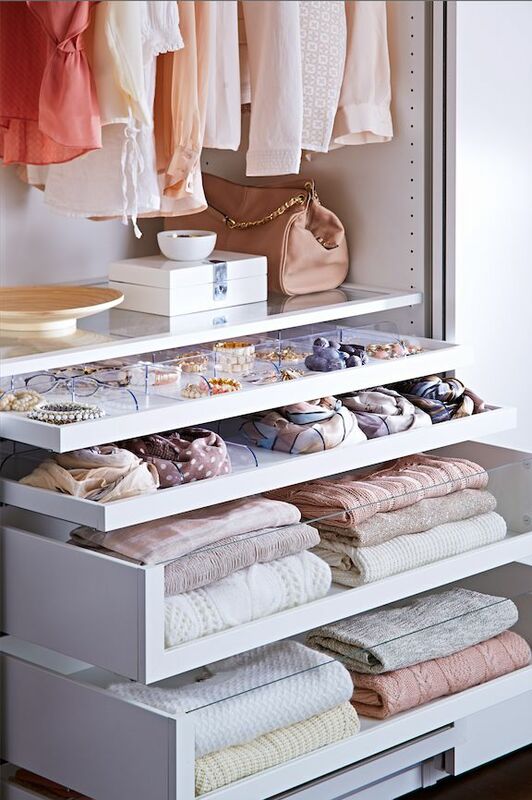 If an open closet isn't for you, you can always use a system that doubles as a pretty piece of furniture! 5. Forget the new closet & just get new accessories! 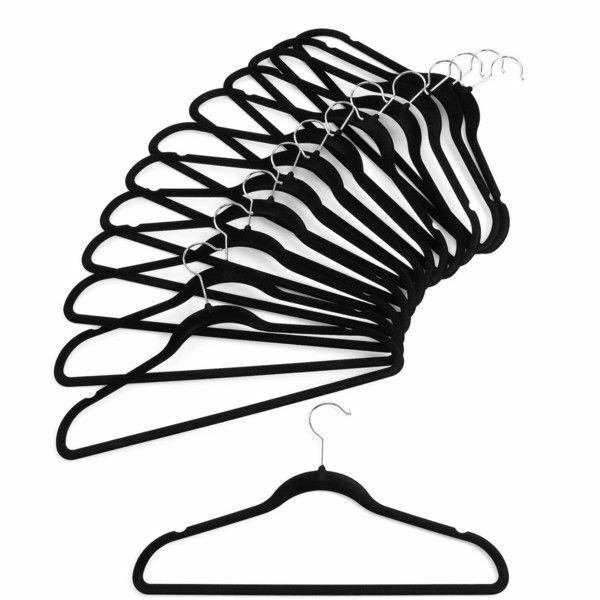 These neatfreak hangers, available at Walmart and Canadian Tire are super thin and your clothes won't slide off. These are also the hangers professional organizers use most frequently. Now get purging!!!! Let me know what you've done, I'd love to see!